Fr. Richard M. Sudlik, OMI was born in Buffalo New York in 1945. 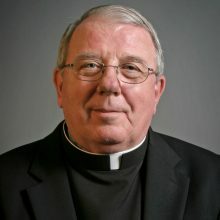 He entered the Missionary Oblates of Mary Immaculate seminary as a college freshman and was ordained in 1972 after studying in Washington DC. His degrees include a BA in philosophy, an M.Div in theology and a Masters degree in Pastoral Counseling. His present assignment is staff member of King’s House-an Oblate Retreat House in Buffalo Minnesota. Registration begins at 4:00 p.m. on Monday, May 7, and concluded after morning Eucharist on Sunday, May 13. A $25 deposit is required to hold your reservation.